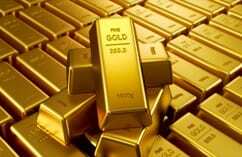 With interest in gold at an all-time high, many of us have considered trading in our unwanted gold for some extra cash. Many Toronto residents have old, broken or unused jewellery in their homes simply collecting dust, so it can seem like a no-brainer to sell your gold to a local buyer. It’s not easy to decide when and where to sell your gold, but when you do, you’ll want to choose the best place to sell gold in Toronto. There are endless gold and jewellery buyers out there, so how do you decide which one makes the most sense for your transaction? A trustworthy gold buyer will have a solid reputation backed by years of excellent service. At Pinto Gold, we have more than 20 years of industry expertise, which allows us to foster our outstanding reputation as a Toronto gold buyer. The best place to sell gold in Toronto will have knowledgeable staff on-hand who understand how to value your gold fairly and accurately. 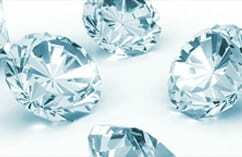 Their appraisers will have the training and expertise necessary to carefully evaluate your gold and use the latest equipment and techniques to determine a fair price. 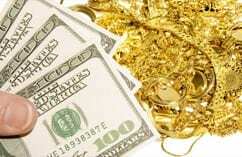 Good gold buyers will offer their customers multiple ways to trade their gold for cash. This might mean offering a mail-in service, free online appraisals and in-person service. 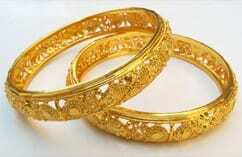 The gold buyer you choose should make it easy for you by providing several convenient ways to sell your gold. Any gold and jewellery buyer you consider should be able to provide you with customer reviews or testimonials so you can feel confident in working with them. Before you decide which buyer is right for you, research the company online to get a feel for what the gold selling experience might be like. After you’ve identified a few possible gold buyers in your area, we always recommend that you get multiple quotes before agreeing to a price. Comparing offers from gold buyers when you’re interested in selling your gold will help ensure that you get the best possible price. Ready to visit the best place to sell gold in Toronto? Stop by Pinto Gold and Jewellery Buyers in person at 2490 Yonge Street, near Yonge and Eglinton, or contact us online now!